We are specialists with years of experience in jewellery re-modelling. 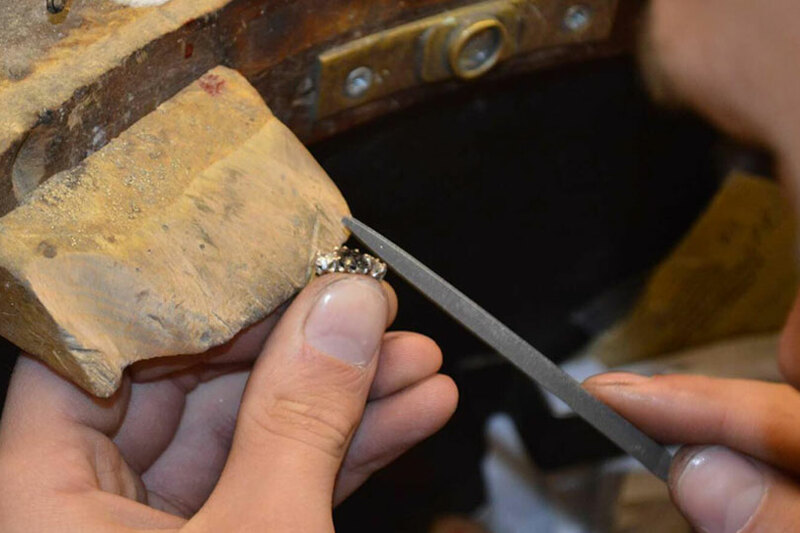 Jewellery re-modelling is carried out for many reasons. Perhaps you have inherited a piece of jewellery that is not really your style. You maybe tempted to sell the piece of jewellery, however it is not always the best thing to do. You can have the original ring made into a one you will love. The inherited ring can then be re upgraded into a new design. There by retaining the sentimental value. This also works in the same way with other pieces of jewellery such as necklaces, bracelet’s etc. We can even make earrings out of the stones or a necklace etc. We get many people who have accumulated or inherited a collection of jewellery. Although the jewellery is sentimental it basically stays in a draw, as it is unfashionable or old. These items can recycled and the parts used to create new pieces of jewellery. In many cases the jewellery you bought years ago, may not be something you would want to wear today. Take for example yellow gold jewellery and rings. You can change your old gold jewellery into the more contemporary white metals by having the stones re set into a new ring. The unwanted yellow gold can be allowed for against the cost of the white metal and labour. If you have unwanted jewellery, why not bring it in to us? Our goldsmiths will be pleased to discuss various ideas with you for jewellery re-modelling turning your old pieces into new.